This is the only known case of freemasonry in the Gowlland family. Details of a watch manufactured by Arthur Gowlland (1832 – 1904) – click here. Details of headstone of John Gowland, and his daughter Elizabeth, in the churchyard of All Saints Church, Findsbury – click here. John Gowland was a Grocer; in the Inventory drawn up after his death he had over £100 worth of shop goods in stock (Consistory Court of Rochester Inventory, DRb/Pi24/9) - about £6,000 in today’s money. A John Gowland, (same man ?) an Exciseman, appears in the Baptism Registers in 1704. From this, as well, we know that this John Gowland was born in about 1687 and his daughter Elizabeth in about1703. Details of a Mary Gowland living in Chilham (next-but-one parish to Canterbury) in early 18th century. More investigations to be made, clearly. Click here for details so far known. Record of 1560 Marriage of George Gowland and Godlie Heinger in Faversham, Kent - click here. 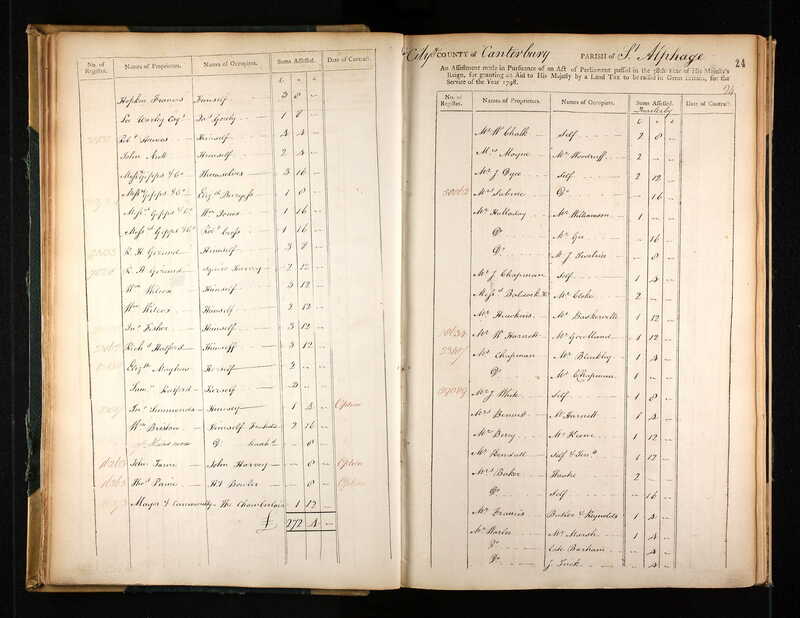 1794 baptism record from St Andrews, Canterbury, of William Henry Gowlland, son of Richard Symons Gowlland, published - click here. He died a few months later. A new family tree has come into our possession, and it is proving very interesting. There are some obvious errors, but by and large it coincides with ours. The major departure is that it shows six Gowl(l)and entries predating Joseph Gowland’s 1734 marriage, the point at which all trees and accompanying records begin; and these six entries carry dates. As will be seen in the extract so far published (click here), they are, in date order, Richard (1529), George (1540), Huimphrey (1611), Stephen (1613), Thomas (1638) and Joseph (1710). There is no indication as to whether the dates refer to Birth, Marriage or Death; nor the source(s) of the information. Five of the names are commonly found in subsequent generations of Gowllands but “Humphrey” has not been found elsewhere. As of today there is no trace of this Humphrey anywhere. However, there is a Humphrey Gowling of the era and, according to http://www.surnamedb.com/Surname/Gowland (below) this was used up to the 17th Century as an alternative form of Gowland. More research is needed on this. Rosemary and John had the very great pleasure of meeting the grandson of Henry Orford Gowlland (1865 – 1928) from Canada, with his delightful partner. Also John finally overcame the apparently insuperable problems which had prevented publishing new details to the website for many months. Mention of a “J H Gowlland” as a prisoner of war in Germany 1043 – 45. Stalag 357 was occupied mainly by Army detainees, although there were a small number of Air Force personnel. There used to be a website where individual’s stories about their captivity in this particular camp could be found . Regrettably this disappeared in mid-2017. Clearly this is John Hollingsworth Gowlland, who we know flew on some of the most important bombing missions in WW2. He was very helpful in providing information for us in the early days of developing the website; and we hope it may be possible to add to it a biography of his quite eventful war service. Photo of Shirley Park Hotel added to biography of Egbert Gowlland – click here. A relative in Australia very kindly sent us originals of two letters from Geoff Gowlland on the subject of the Family Tree – one of four pages to Bruch Berckleman click here) and the other of one page to Ruth Harrison (click here). Report in the Manly Daily of a near-fatal encounter with the Gowlland Bombora - click http://www.dailytelegraph.com.au/newslocal/northern-beaches/dangerous-bombora-almost-claims-three-more-lives/news-story/23cbce2d9103a8ea79e37a52970cd149 Manly is a suburb to the north of Sydney. Further information regarding the two books written by Henry Orford Gowlland – click here. Land Tax records of 1798 showing Josiah Gowlland was a tenant of Mr Harnett, who was a witness at Josiah’s wedding – here. New speculation regarding Jane Gowlland, the third entry in Loose Ends – click here. We have been provided with a set of nine scans from C78/650, a long Chancery decree dated 28th October 1658, in which Richard Gowland, desribed as “ parson of Ledbury (Herefordshire)” features largely. These will not be published to the website, but can be emailed to anyone who may be interested. Article from “The Engineer” of 21st January 1921 added to biography of William Gowlland – click here. Five 15th and 16th century entries in the cumulative index to various parts of the Common Pleas with varied spellings – click items 14 to 18 inclusive in the index to Loose Ends (click here). Clearly there is no certainty that any of these have any connection with our line, commencing some two hundred years later. Correction of Christian name to “Jane” of bride to John Gowland’s 1681 wedding – click here. WW1 service medal obtained for Bmbr William John Gowlland, grandson of James West Gowlland – click here. Report from about 1895 of Frederick William Nichol Gowlland, the youngest son of Thomas Sankey Gowlland, failing to meet the standards expected of a bank manager – here. Note re Peter John Riber Matthieson’s three wives added to his biography – click here. Extract from 1754 "Poll for Knights of the Shire to represent the County of Kent" added to biography of Joseph Gowlland (click here). Details added to biography of John Thomas Ewing Gowlland regarding charts bearing his name for islands off Japan (one) (click here) and islands in Ionian Sea (two). Details of Charles Septimus Gowlland’s last patent, for cloche clips, added to his biography - click here. 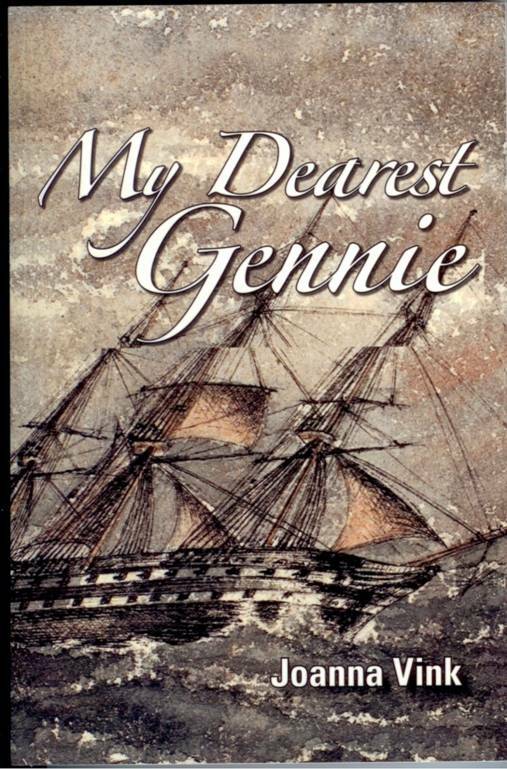 Book launch of “My dearest Gennie” took place in Australia - click here. . Jo Vink reported “ . . it was a great success. Over eighty people, a lovely afternoon and a great setting at Masalou, Francias Lord’s old home, now part of Monte Sant’Anglo Mercy College”. Agreement from 1892 added to Henry Gowlland’s biography – click here. Henry Gowlland’s obituary published – click here. A very comprehensive article from 1974 added to the biography of Henry Orford Gowlland – click here. 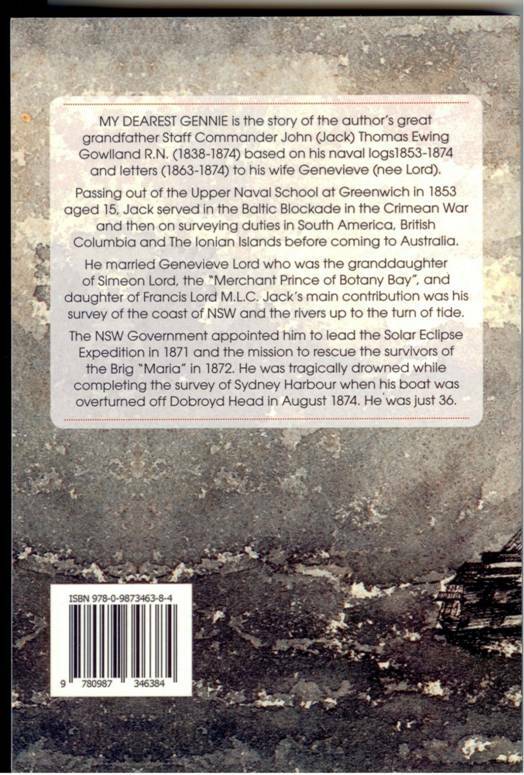 In July 2013 Joanna Vink, Jack's great grand-daughter published a fascinating book "My dearest Gennie" based on John Thomas Ewing Gowlland's letters to Genevieve, and his journals, and containing much else of great interest. The book (SBN 978-0-9873463-8-4) may be bought from Jo at joannavink@bigpond.com. Biography of Henry Orford Gowlland reorganised - click here. Further work on the Patents. Including the remarkable discovery that Henry Orford Gowlland (b 1865) took out his first patent on a multifocus lens (using the name “Henry Orford”) in 1909, more than one hundred years ago, and thus considerably earlier than had hitherto been thought - click here. 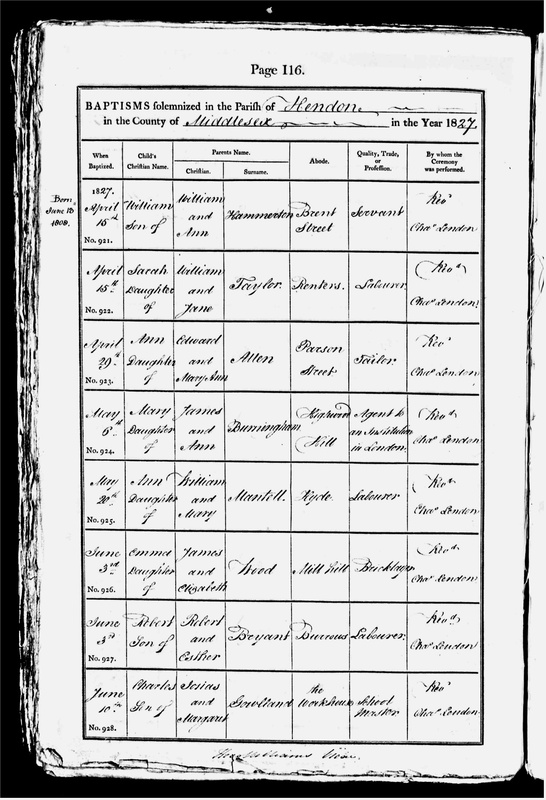 Baptism record of 1861 published for Alice Maud Gowlland, sixth child of Richard Gowlland (1823 – 1863) – click here. Some very evocative photos of Captain Peter John Riber Mathieson and his wife Gertrude née Gowlland (Gladys’s half-sister) on board the Antiope have become available through the kindness of The Australian National Maritime Museum in Sydney – copy and paste http://www.flickr.com/photos/anmm_thecommons/sets/72157633894557686/. 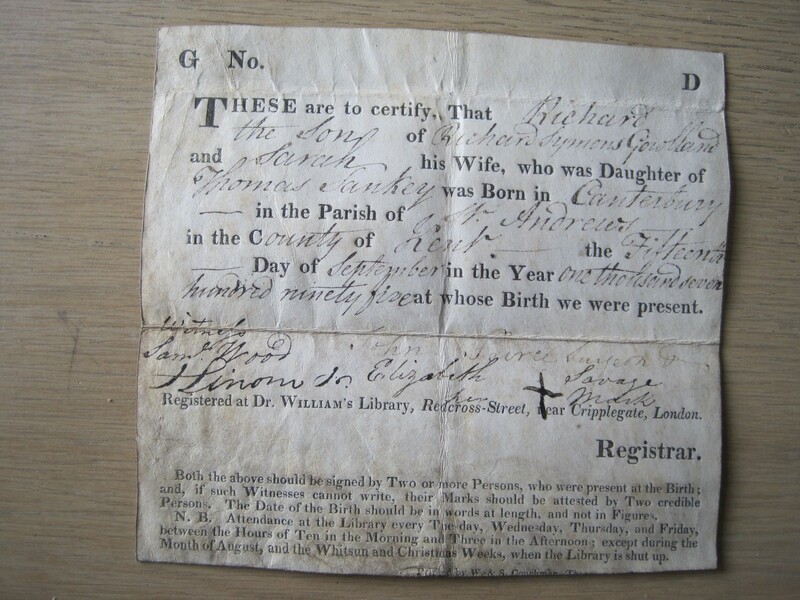 Two original birth certificates (below) published, of 1771 for Richard Symons Gowlland, and 1795 for Richard Gowlland. Intriguingly these were passed on to us with the explanation that they were discovered in 1940 in a solicitor’s office which has been destroyed in the Blitz – hence the water damage. Further information added to biography of Alfred Gowlland (b 1839) – click here. Details provided of the existence of a further Gowlland microscope – click here. Further media interest in Geoff Gowlland’s cine films and photographs – click here. Newspaper report on his February 1916 divorce added to biography of Edward Lake Gowlland – click here. Two newspaper cuttings from 1891 added to biography of George Gowlland (here), and one from “The Chelmsford Chronicle” (here) to that of one of the daughters of Richard Gowlland (1823 – 1863). Photo of 57 and 59 Doughty Street added (here), and two photos of Stained Glass Window (here) in St Mary’s, Chartham, Kent, commemorating Peter Yeames Gowlland. Evidence against John George Blantyre Gowlland in his divorce case published in 21st February 1897 edition of “Lloyds Weekly Newspaper” – click here. 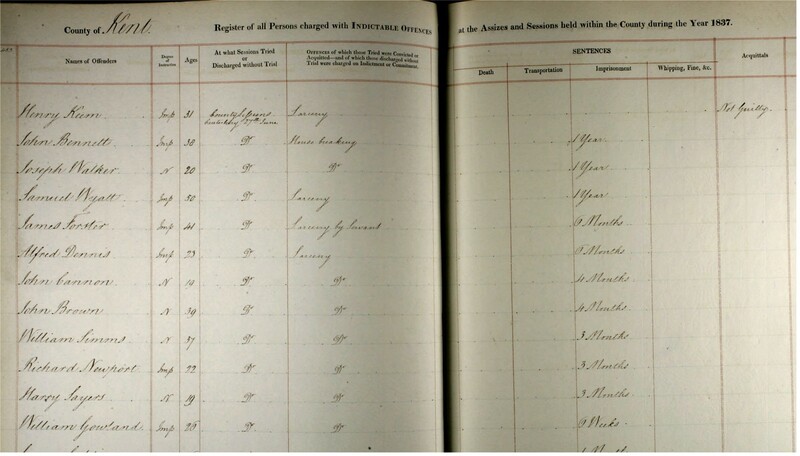 Presence of Louisa Mayes Gowlland in the British Orphan Asylum in Slough – click here. Appreciation conveyed to Rosa Gowlland at 1869 meeting of supervisory board of St Mark’s Hospital – click here. Announcement in “The Reading Mercury and Oxford Gazette” of 26th January 1884 of wedding of Rose Grace Gowlland and Douglas Heron Barry – click here. Newspaper extract concerning commissioning and installing of a stained glass window dedicated to Peter Yeames Gowlland and his son, by Rosa Gowlland, his widow – click here.. Also a newspaper report of 1842 concerning Richard Gowlland’s capture of a smuggler – here. A new correspondent in China has very kindly sent us a Family Tree, and some notes, concentrating on the descendants of George Castle Gowlland (1804 – 1890), and these will be published over the next week or so - for the Tree, click here. Extracts from UK Poll Books and Electoral Registers added to biographies of George Gowlland (1878) (here), Alfred Gowlland (1878) (here), Josiah Gowlland (1808) (here) and Richard Symons Gowlland (1802) (here). Photos of John Thomas Ewing Gowlland’s headstone, as it used to be, and as it is now, added to his biography – click here. Link to State Library of Queensland added to biography of John Thomas Ewing Gowlland – click here. Additional information published regarding the descendants of the mysterious Richard Symonds Gowlland (click here). Note added re transcription error in IGI record of Josiah Gowlland’s baptism – click here. Letter of 1938 from Geoffrey Gowlland written from hospital when he was recovering from typhoid – click here. Details of TV programme using some of Geoff Gowlland’s cine film of the Battersea Pleasure Gardens in 1951 – click here. Portraits of Henry Orford and Jane Orford née Goffée from about 1865 added to article on the Orfords – click here. More complete address information taken from England 1911 Census Summary Books added to certain entries in the 1911 census index. Partial List of Gowllands Limited agentsd and buyers from about 1970-1980 added to notes on Gowllands Limited – click here. William Gowlland Ltd catalogue of 1912 available – click here. Poll list of 1705 mentioning a John Gowland of St Clement’s parish, Middlesex (London) added to Loose Ends record of John Gowland’s 1716 apprenticeship – click here. Clarification of speculation regarding parentage of Richard Symonds Gowlland – click here. Further information regarding the dating and provenance of the Gowlland Clock added to Glossary – click here. Also notes added re John Gowland of Frindbury (b 1702) and his apprenticeship in 1716 to Henry Thornton of Rochester – click here. Additional details regarding the final years of George Castle Gowlland added to his biography – click here. Surname of bride in 1934 wedding of Dennis Geoffrey Warren Gowlland amended to Wenham. 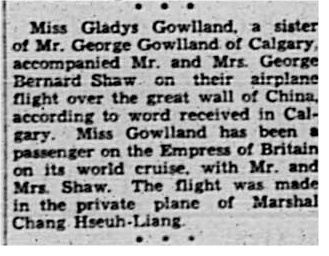 Link published (here) to service records of Geoffrey Cathcart Gowlland and of Eric Fulton Gowlland: and Edmonton newspaper reference from 17th May 1933 (here) to Gladys Gowlland. Three new references added to biography of John Thomas Ewing Gowlland (here, here and here), and one to that of Henry Orford Gowlland (here). 1883 portrait of George Gowlland 1838 – 1911 published after restoration – click here. 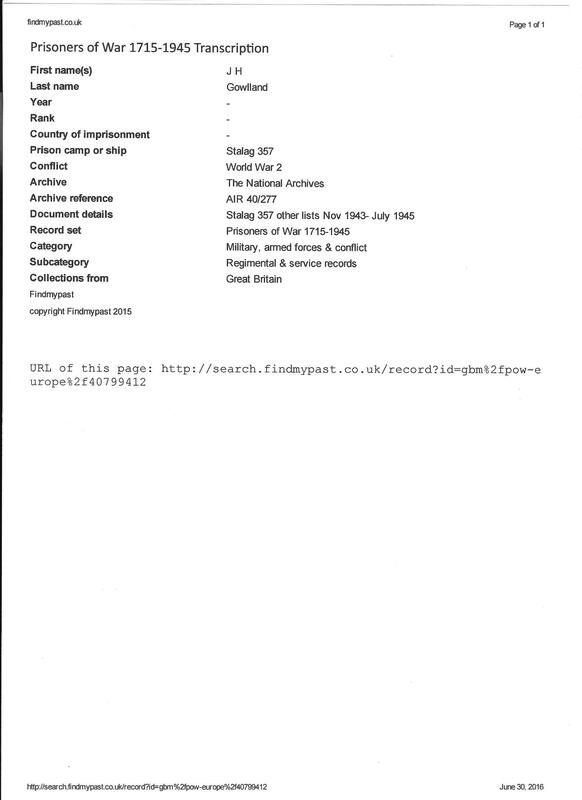 In September 2010, in a bound volume entitled "Revenue Cruisers 1671 - 1928", held at the National Archives, Kew, within their Customs records, was found a mention of Richard Gowlland 1795 - 1865 as former commander of the Vigilant - click here. Probate of 1898 for Richard Symonds Gowlland published – click here. Loose Ends reorganised and re-indexed – here. Also section added dealing with John Gowland and family of Frindsbury, Rochester, North Kent. Record published (here) for the conviction in 1831 at Canterbury Assizes of a Henry Gowlland on two counts of larceny. At present we do not believe that this person belongs to our line. The search for the seventeenth century forebears of Joseph Gowlland has reluctantly been brought to an end, since all available possibilities seem to have been exhausted. A pity. Should any more clues emerge, the search will, of course, be resumed. 1702 May 6 John son of John Gowland, Excise man of Frindsbury, and Catherine bapt. 1704 Aug 21 Elizabeth dau of ditto bapt. 1707 Nov 30 Elizabeth dau of John Gowland buried. 1710 May 30 John Gowland buried. 1713 Aug 28 Katherine Gowland, widow, buried. Frindsbury is a suburb of Strood, which, for administrative purposes, is now amalgamated with Rochester. The above five entries are apparently the only Gowland mentions in the records of The Medway Studies Centre (Strood) between 1669 and 1812, but I shall double-check this when possible. The IGI shows a marriage on 14th January 1700 (two years before the first of the two births recorded above) at St Nicholas, Rochester, between John Gowland and Catherine Harriett. This also needs investigation. The main interest is the profession of “Exciseman”. They would move from port to port; and Joseph’s family, of course, was established in Dover in the 1730s. Probably nothing significant, but worth noting . . . .
Hypertext link (here) added to Glossary section regarding Freemen of Canterbury for University of Berkeley’s on-line transcription of J M Cowper’s “The roll of the freemen of the city of Canterbury from A.D. 1392-to 1800". Also reference (here) from 1351 to “John Goland” of the manor of Wolford, co. Warwick, from “Grantees etc of Office 1350 – 1354”, from the Patent Rolls (the Chancery enrolments of royal letters patent) from the reign of Edward III. Publishing of page from parochial register of St Mary the Virgin, Dover, listing Dissenters, and naming nine births to Sampson and Susanna Pierce (née Reading) between 1713 and 1730 – here. Settlement Certificate IN for Joseph Gowland and family added to Loose Ends – click here. 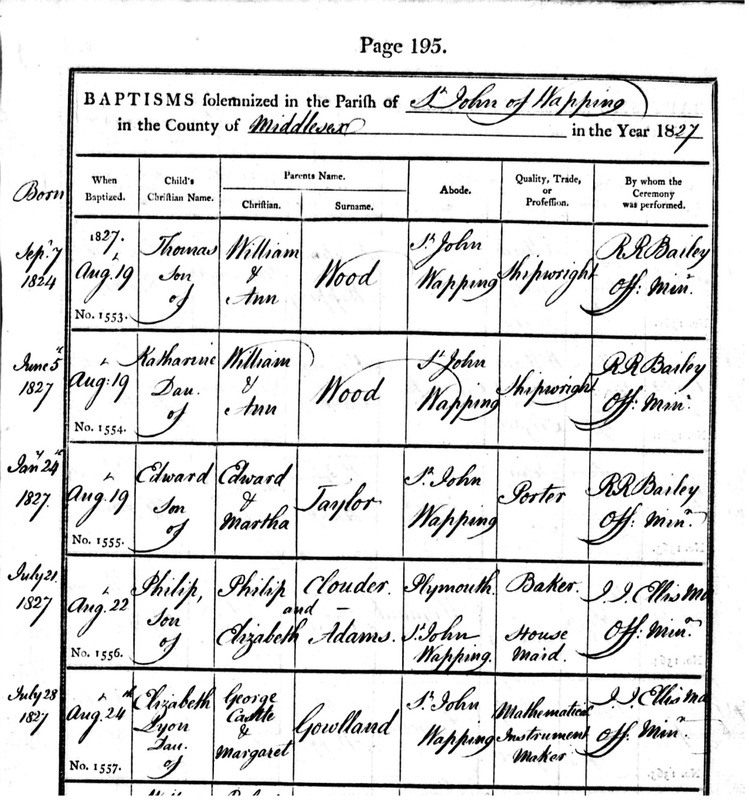 Ten baptism entries from Eyethorne Chapel for children from several Peirce families added to notes on Baptists – here. Did they move en masse to a different chapel in 1805? Edward Lake Gowlland’s entry in the 1926 “Directory of Medical Practitioners in the Provinces” published – click here. 1934 entry in Army List added to Geoffrey Cathcart Gowlland’s biography – click here. 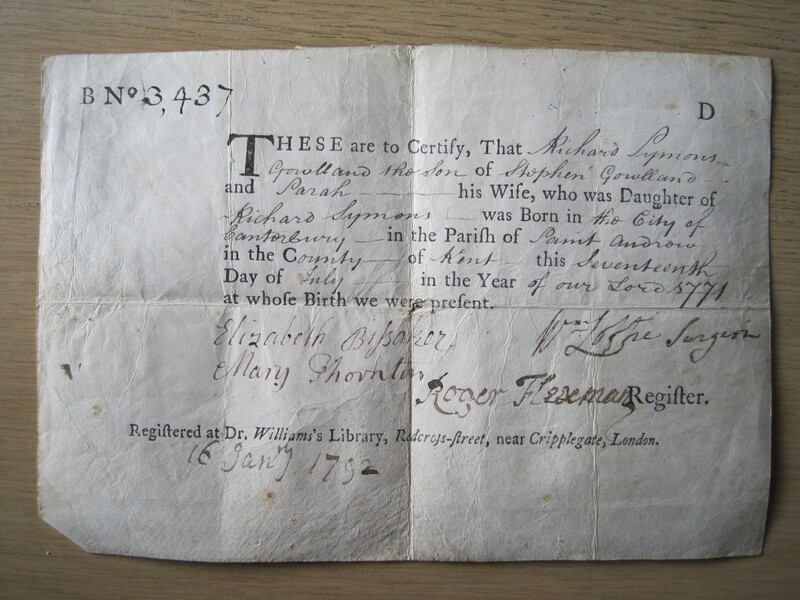 1675 Notice of Intended Bridegroom (Marriage Licence Application) for Archdeaconry of Lewes (East Sussex) published in name of Robert Gowland of Crowhurst – click here. Note that Crowhurst is about three miles north-west of Hastings, and about seven miles south-west of Udimore and Brede. Geoffrey Cathcart Gowlland’s entry in the Fettes School record for 1896 entrants published – click here. Old Bailey record from 1845 published showing conviction for larceny of Thomas Gowlland (born c1821), son of Josiah Gowlland – click here. Extract from Post Office Commercial and Professional Directory of 1856 published mentioning James West Gowlland and Peter Yeames Gowlland – click here. Also Merchant Taylors’ School register from 1875 mentioning Peter Yeames Gowlland – click here. 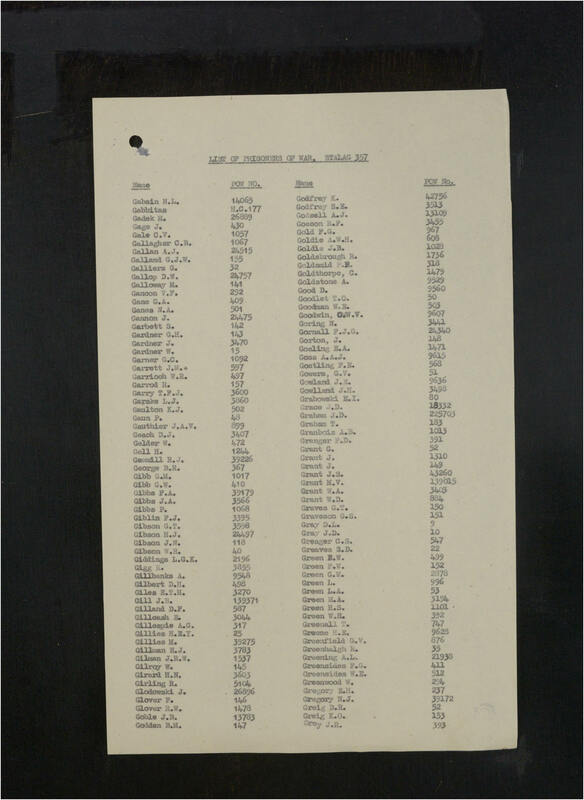 And listing of Customs’ Establishment at London Docks in 1858 mentioning Richard Gowlland – click here. Further information regarding the Settlement Certificate in the name of Joseph Theophilus Gowland and family added to the notes about him in “Loose Ends” - click here. Additional records added to Glossary item on Polls – click here. 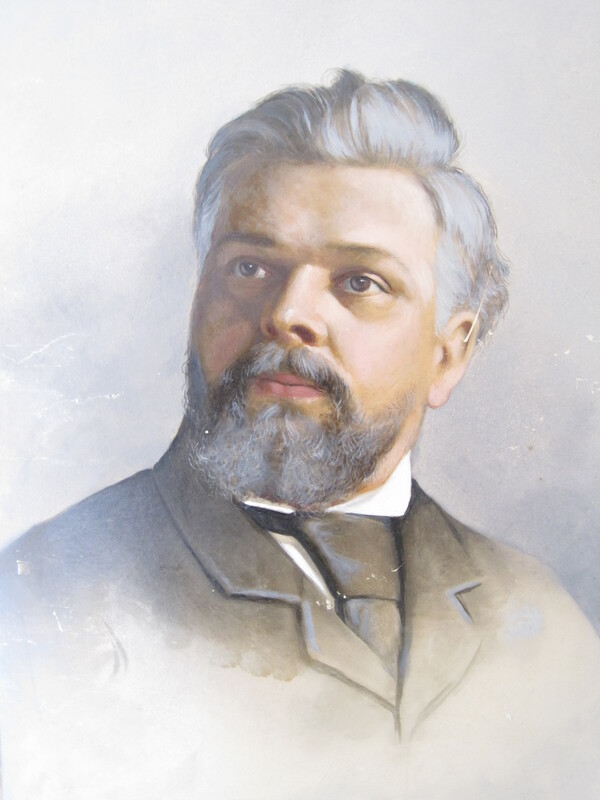 New portrait of George Gowlland (1838 – 1911) published – click here. This is the painting which Melissa Gowlland, in a letter to Geoff Gowlland dated 8th January 1942, so memorably described as “I have an oil and water colour of our grandfather George you might care to view, looking like the King of the Cannibals – sports an outsize in black whiskers and beard – very fierce all together” and, in a letter dated 5th April 1942, “It belonged to Margaret [George’s oldest daughter, born 1860], and Charlie [Charles Septimus, the youngest child, born 1878] being a younger brother could hardly refuse to let me have it when she died”. Link to The Surman Index Online of Congregational ministers (here) added to notes on James Fenn - note there is no reference to Stephen Gowlland. Photos added to notes on Dr Williams’s Library – here. Also some additions made to article on “Baptists” – here. Details added of three marriages and twenty-nine (!) children of Thomas Sankey (b 1738), father of Sarah Sankey (b 1771), wife of Richard Symons Gowlland (b 1770), married 1792 – click here and here. Also details of Sarah’s brother’s having organised a collection for the families of survivors of the Battle of the Nile in 1798 – here. 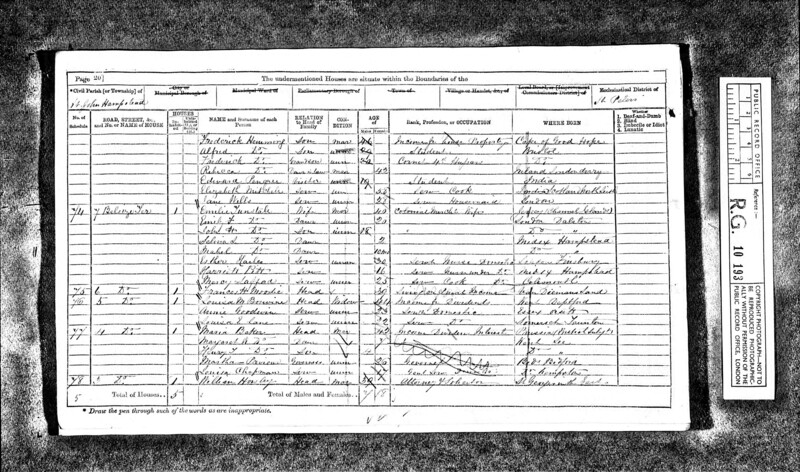 1871 census record published for Louisa Mary Yeames Bouverie – click here. Settlement record for 1821 in Edmonton published for Josiah Gowlland – here. Second Letter of Recommendation from James West Gowlland published – here. Note of Letter of Reference for a police recruit provided by James West Gowlland added to his biography – click here. Additional biographical details added for Eliza Jane Gowlland (b 1847) – click here. Notes added to the Glossary on Settlement Certificates (here), and Parish Apprenticeships and Illegitimacy (here). 1716 Apprenticeship record published (here and here) for John Gowland, “son of John Gowland of Rochester, Gent., dec” to Henry Thornton, Citizen [?] and Clock Maker”. 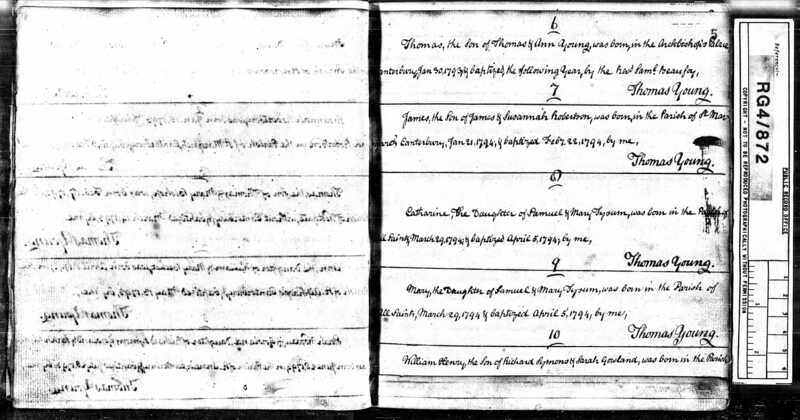 The Thorntons are linked to the known Gowllands from Canterbury and Dover by virtue of (a) Mary Thornton witnessing a birth of one of the children of Stephen Gowlland (b1747), (b) Peggy/Margaret Thornton marrying Josiah Gowlland in 1807, and (c) Elizabeth Thornton’s 1832 burial in the Countess of Huntingdon’s Connexion chapel in Dover (one of the Baptist places of worshhip used by early Gowllands). This is the first time we have established a connection, albeit tenuous, between the known South Kent Gowl(l)ands and the far less well established North Kent Gowlands. As to the deceased father mentioned above, there is a record of a marriage on 14th January 1700 between John Gowland and Catherine Harnett at St Nicholas, Rochester. The apprentice could have been a child of this marriage, born two years after the wedding. Regrettably there is no trace of the death of a John Gowland between 1702 and 1716. More investigation is needed . . . . . Various other apprenticeship records published – click here. a) Privy Council Extracts from reign of Edward VI - click here. Licence application found (click here and here) for Robert Gowland and Elizabeth Lucke, both of Crowhurst, East Sussex, dated 10th July 1675. The marriage took place five days later at All Saints, Hastings (here): note variations in both names. Record (click here) published of the 1837 imprisonment for six weeks of William Gowland, aged twenty, convicted of larceny at Canterbury Assizes. This might be the fifth child and third son of Josiah Gowlland and Peggy Thornton, or, less probably, the sixth child and fourth son of Stephen Gowlland and Jane West: both Josiah and Stephen originally came from Canterbury, although both left there as their families grew. Equally, it is more than likely that this William Gowland is nothing to do with our line. Details of Baltic Medal awarded to John Thomas Ewing Gowlland in 1854 added to his biography – click here. Details of 1789 apprenticeship of Stephen Gowlland to John Quested added to his biography – click here. 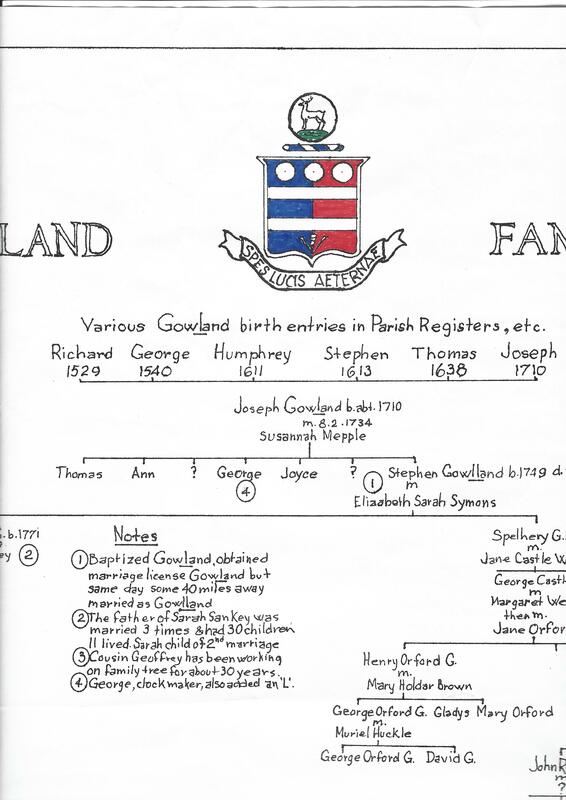 Latest version of Gowlland Family Tree published – click here. It now runs to eighteen closely-printed A4 pages, and the complete Tree totals 927 individuals. If anyone would like a copy of the fil as a GEDCOM, please email accordingly to john gowlland (gowlland@aol.com). Photos of two oil paintings signed by Stephen Leversha Gowlland appended to his correspondence with Geoff Gowlland – click here. Note included in biography of Josiah Gowlland re Canterbury freehold of Lazarus Thornton – click here. A possible third candidate identified for the convicted Richard Gowlland in 1870 – click here. Comment added regarding the 1827 baptism of Charles Gowlland, son of Josiah, with address shown as “The Workhouse, Hendon” – click here. Obituary from 1942 for Edward Lake Gowlland added to his biography – click here. BMD Certificates published over past ten days added to the respective indices. Marriage certificates published for Joseph Honey Gowlland (1907 – here) and Selina Gowlland (1848 – here). 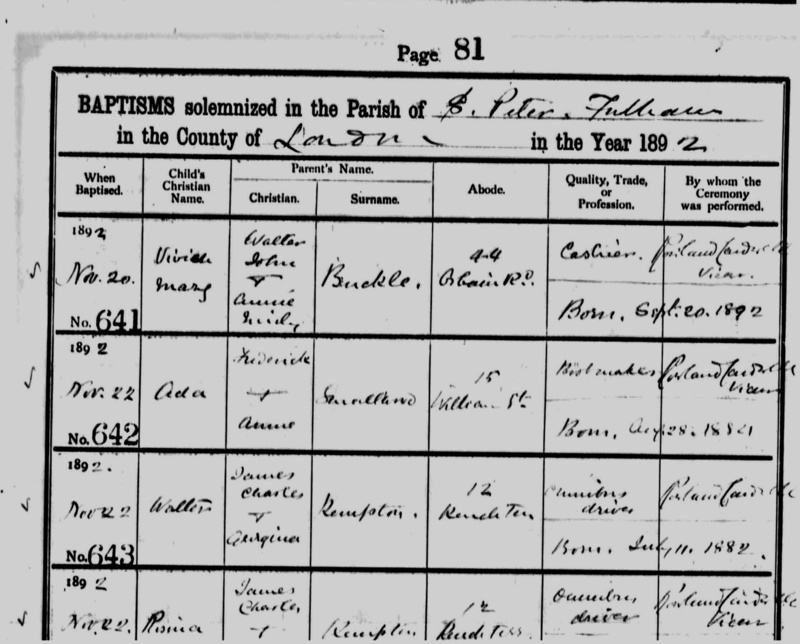 Baptism certificate of 13th April 1873 published for Eleanor Gowlland (here); and for Edith Emma and Francis Edward Gowlland (here) dated 24th February 1884, from St Mark, Tollington Park, Islington. 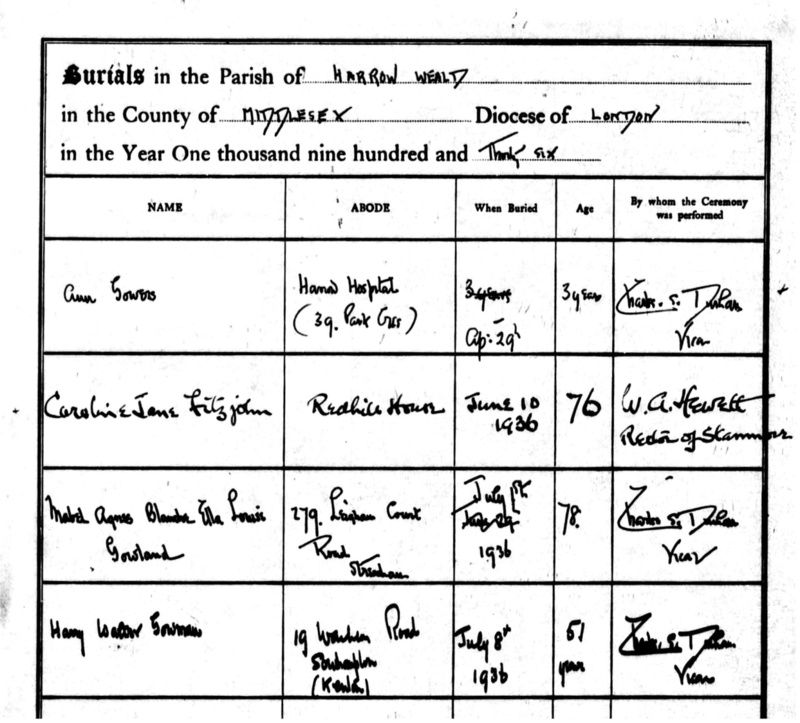 Also published (here) is a baptism record from St Peter, Hammersmith, ammersmith in the name of “Ada Gowlland, daughter of Frederick and Anne, residence 15 William Street, born August 28th 1882, father’s occupation bootmaker [? ]”; but this record should be treated with some scepticism as there is no known Frederick Gowlland and the transcription of the badly written surname is uncertain. Burial record published for Leonard Lake Gowlland and Richard Sankey Gowlland – here. Burial record from Saint Pancras Old Church, Camden, London, of Emma Gowland [sic] aged two days, possibly a hitherto unknown child of Charles Gowlland (b1861) – here. Marriage record from 1881 published for Rebecca Gowlland (click here). Also for Susannah Gowlland (click here). Record of Stephen Gowlland’s religious interests in 1775 – here. 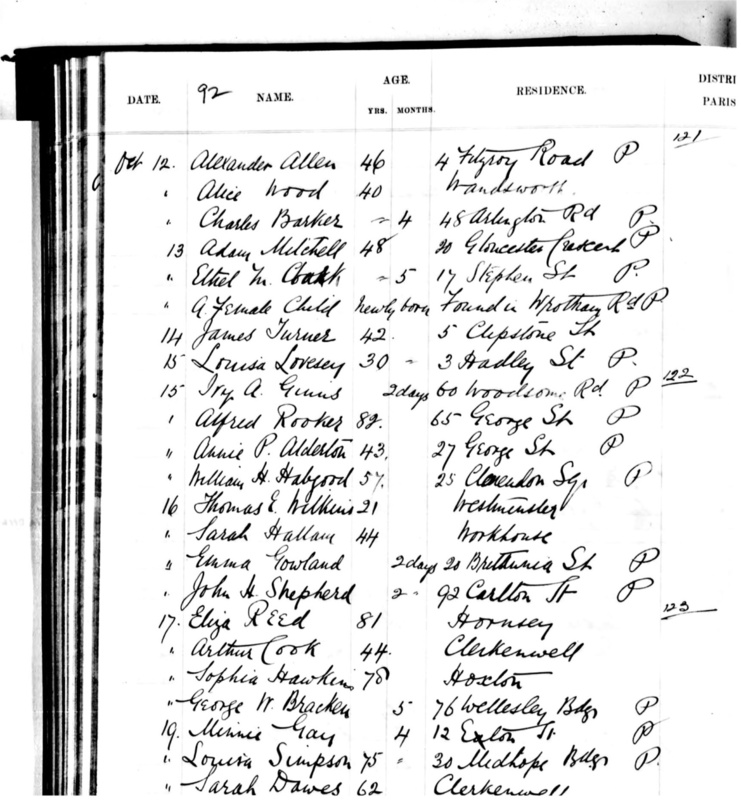 Record of 1936 burial of Mabel Agnes Blanche Louise Gowlland – click here. Baptism certificate for Eliza Jane Gowlland, daughter of Richard “coachpainter” Gowlland, published – click here. 1882 baptism certificate for George Gowlland (1867 – 1927) added to his biography (here). 1881 census entry for Peter Yeames Gowlland added to his biography (here), and three baptism certificates added, 1825 (himself), 1861 (his daughter) and 1863 (his son) – click here.. Section dealing with media interest in Geoff Gowlland’s cine films rewritten – click here. Baptism records published for Peter Yeames Gowlland (here), Louisa Mary Yeames Gowlland (here) and Elizabeth Lyon Gowlland (here). Puzzling presence of James West Gowlland at the 1832 wedding of so-far unplaced Jane Gowlland discussed – click here. And publishing of record of calling of banns of the mysterious Richard Symonds Gowlland in 1847 – here. Birth certificate and baptism certificate published for Richard Gowlland born 1877 – click here. 1836 marriage record found for Ann Gowlland’s marriage to William Fisher, as previously included in “Loose Ends” – click here. Baptism certificate from St Mary’s, Hendon, Barnet, Middlesex, dated 1823, published for six children of Josiah and Peggy/Margaret Gowlland - click here. Baptism record from St Mary’s, Hendon, Barnet, published for Charles Gowlland, the last child of Josiah and Peggy/Margaret – click here. Why was the family of a schoolmaster in the Workhouse? Original record of marriage of Richard Symonds Gowlland and Louisa Newell from St Matthew’s, Bethnal Greem published, showing the clerk had trouble with the spelling of the word “Mathematical” – click here. Certificate obtained (click here) for the 1832 marriage of Jane Gowlland and Samuel Cox; but the mystery remains as to who Jane is - she therefore remains in Loose Ends (click here). Baptism certificate from St Mary Magdalene, Greenwich, published for twin girls allegedly fathered in 1864 by John Thomas Ewing Gowlland – click here. Map showing location of Eyethorne Baptist Chapel added to biography of Stephen Gowlland (1747 – 1802) – click here. Further information concerning Stephen Gowland’s link to the Particular Baptists added to his biography – click here. Publication of a few records extracted from archives at the Society of Genealogists, namely Parish Indexes [here] and Parish Chests [here]. Birth records searched for Eythorne Particular Baptists chapel showing a total of nine new grandchildren born to Susannah and Sarah, daughters of Stephen Gowlland (b 1747) – click here and here. Some notes on John Sutton, his apprentice-master, added to biography of Joseph Gowlland – click here. Notes on an apparent branch in Paris in 1922 added to information on Gowllands Limited – click here. Updated Family Tree published as PDF file – click here. Plan of Newcastle, Queensland, Australia, from 1866, the work of John Thomas Ewing Gowlland, added to his biography – click here. Details of the long-lost portrait of Peter Yeames Gowlland added to the correspondence between Geoff Gowlland and A Yakovleff – click here. Maple and Go(u)lder entries in the list of participants in the 1641 Protestation added to the Glossary – click here – and additional Maple details added to the biography of Joseph Gowlland (b c1714) – click here. A list of Maple baptisms for the 16th - 18th centuries, most of them in Bridge (a village a short distance from Canterbury, on the road to Dover), has been added to the Glossary and to Joseph Gowlland’s biography - click here. More details added regarding antecedents of Peggy Thornton, wife of Josiah Gowlland – click here. Some notes added on Goulder and Golder - here. More information on Baptists added – click here. Further information, resulting from a visit to East Kent Archives in Dover, added regarding Gowlland Baptist connections, in particular extracts from the Register Book for Dover Baptist Church of St Mary – here. More information published regarding James Fenn – click here. Joseph Theophilus Gowland added to “Loose Ends” – click here. Additional information regarding HMS “Plumper” and HMS “Hecate” added to biography of John Thomas Ewing Gowlland – click here. Mention in “Nature” - http://www.nature.com/nature/journal/v119/n2993/abs/119389a0.html - of an experiment in the 1920s carried out by “Mr G Gowlland” (thought to be George Gowlland 1867 – 1927) in collaboration with a Mr L G Vedy, on the rotation of bodies with dielectric surfaces in electrostatic fields. If indeed he had shown this experiment at The Physical Society (presumably the American one) it must have been within a few months of his death. Cheriton in Kent identified as location of Stephen Gowlland’s mill in 1769 prior to his move to Canterbury the following year (click here) – more information will be found on this link taken from “Kent Dissenting Ministers’ Declarations 1689 – 1836” by Gillian Rickard B.A. Dip.Loc.Hist [ISBN 0-9521828-3-1]. Available from her at GRKent@aol.com.